A little bit of humor for the holiday. 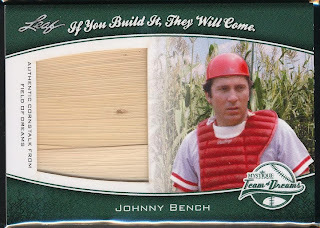 Yesterday Leaf made an announcement that they are adding something special to their Holiday Bonus Packs for their distributors, they are including a corn stalk relic card that is tied to the “Field of Dreams” field in Iowa. 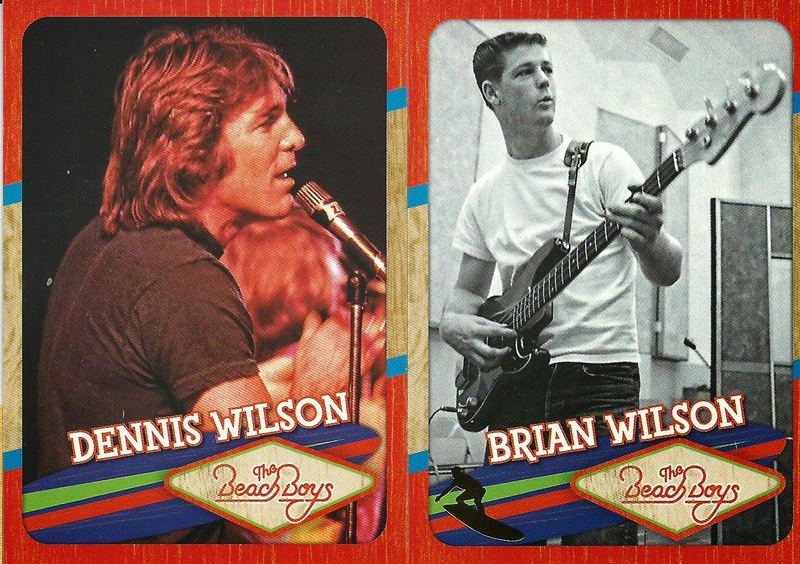 Brian Gray took part in the Team of Dreams softball game in September and decided to create these relic cards for each of the former major leaguers that were in the game’s lineup. 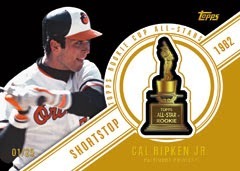 The checklist includes Reggie, Bench, Carlton Fisk, Rickey Henderson, Pete Rose and Frank Thomas plus a number of other ex-players and a couple of celebrities. 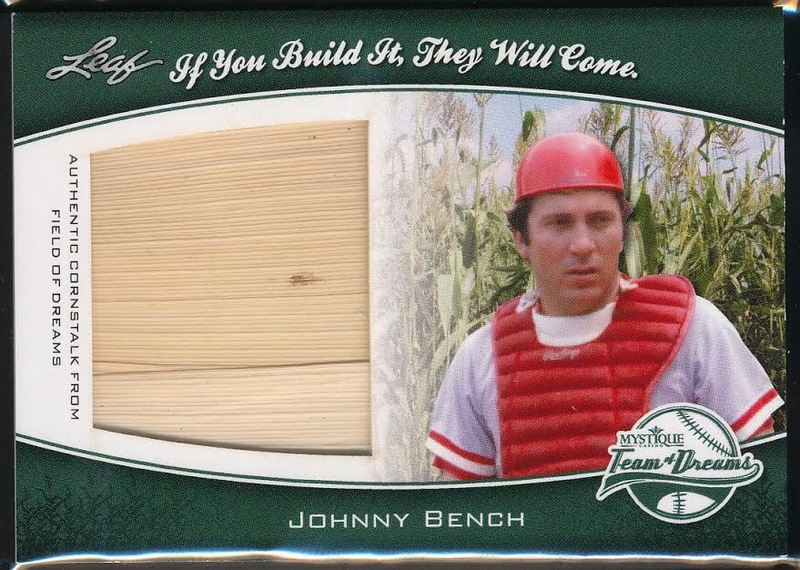 Each card includes a cornstalk relic from the actual field used in the 1989 Field of Dreams movie. 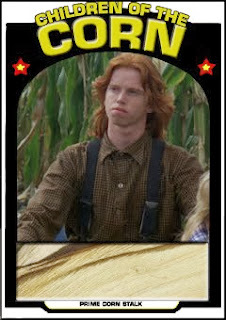 But as you can see, I created the first “cornstalk” relic card 3 years ago when I designed this Malachai Children of the Corn relic card based on a 1972 Topps card for Thorzul’s Nightmares on Cardboard III contest in October 2010. Now my card was made using a fake corn stalk from a plastic corncob I got at Michaels and eventually fell apart (the glue holding the husk broken away and the husk crumbled) but still… Who do I need to contact to get my check from Leaf? Happy Thanksgiving, I hope you all have a safe and filling holiday. 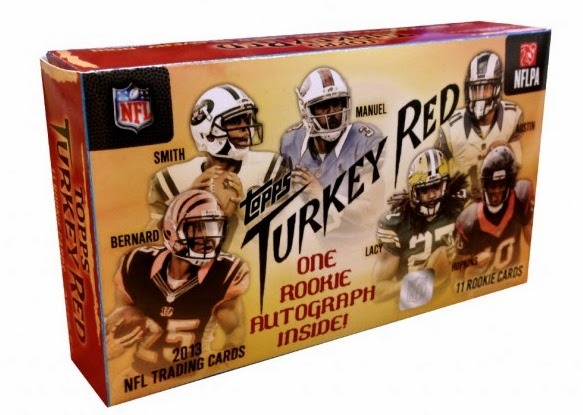 Topps is releasing 2013 Turkey Red Football through their online store on Friday November 29th (the day after Thanksgiving). 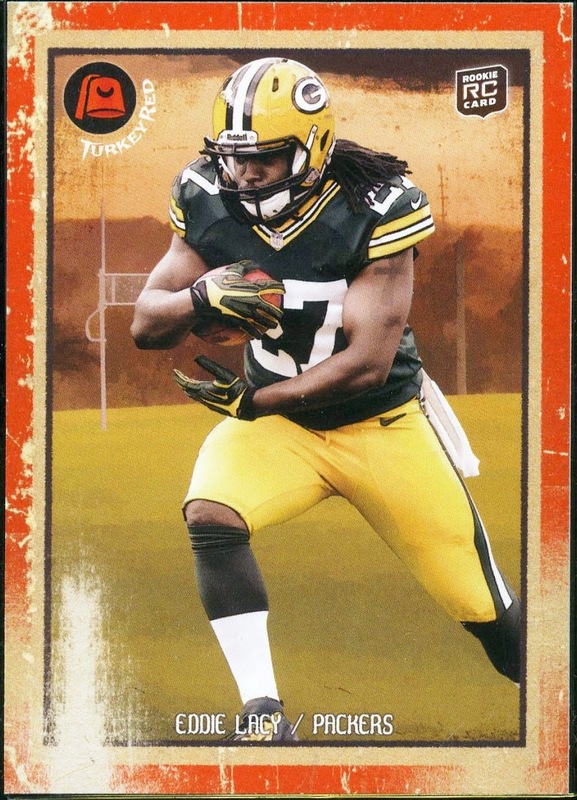 The price will be the same as previous years, $19.99, as well as the same pack out; 9 base cards, 1 mini parallel and 1 rookie autograph. Last year’s boxes are still selling well, which should be expected considering the rookie class, and usually goes for over $30. I wonder how this year’s release will do on the secondary with a weaker rookie class? 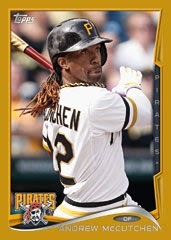 In previous Topps online exclusive releases I usually end up swaying back and forth on whether to buy or not and every time I have ended up missing out, this is one set I am certain I will not be buying. 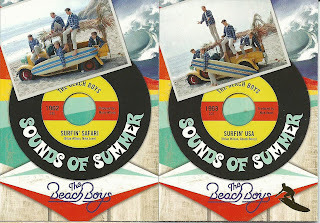 I do like the design though, the aged look works so well with these types of retro sets. The Closing Gavel Falls On LeBron! 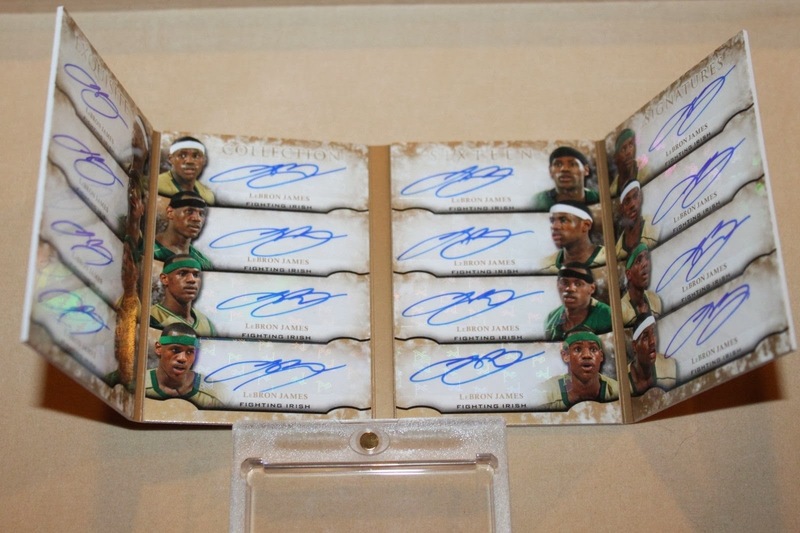 That breaks down to $468.75 per signature, is that a reasonable price for a LeBron sticker autograph? 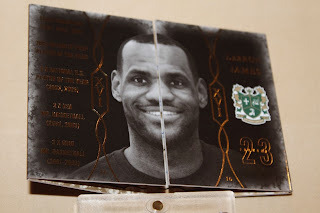 I wonder what the Michael Jordan 16-time autograph booklet would go for if it were put up for auction? I am not a shoe guy, I find it hard to drop hundreds of dollars on a pair of shoes you probably will never wear, but that does not mean I do not appreciate a nice looking pair of shoes. Nike just announced a special Calvin Johnson “Megatron” pack that they will be releasing soon, I did not see a date or price. The pack consist of three pairs of shoes, two trainers and a pair of football cleats, with similar color patterns and a Decepticon logo. One of the trainers has a glow in the dark outrigger and the cleats are clear. 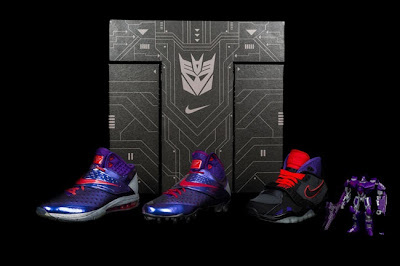 In addition to the three pairs of shoes there will also be a limited edition Calvin Johnson Megatron Transformer. The figure will be included in the Megatron Rises Packs, which will be released at 21 Mercer Nike store in Queens. There will only be 81 Megatron Rises Packs released but the shoes will be sold at other Nike stores as well as their online store. 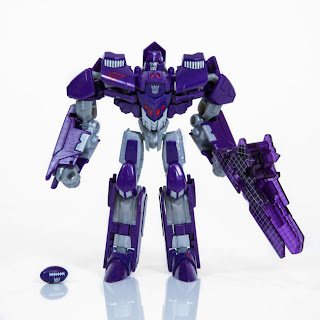 I never played with Transformers, they came around when I was hitting my teens, but they are still very cool. The Johnson piece includes a football and turns in to a B-2 Bomber. I like the purple/silver colors used but I think it would have been better to use the Lions black/blue/silver team colors. The Arizona Wildcats handed Oregon a serious whooping today winning 42-16 in Tucson. It was a complete team effort, the offense put up 482 total yards including RB Ka'Deem Carey rushing for 206 yards and 4 TDs and QB BJ Denker throwing for 178 yards and 2 TDs (plus rushing for another 102 yards). The defense shut down Oregon's high powered scoring offense, they did give up 508 yards but they kept the Ducks to only 2 TDs and a FG plus they added three turnovers (1 fumble, 2 INT) including an acrobatic tag-team interception from Richardson to Wright to give Duck's QB Marcus Mariota his first interception of the year. A great win for this Wildcat fan. Twenty-four packs later and I am impressed, Panini did a nice job with the set. 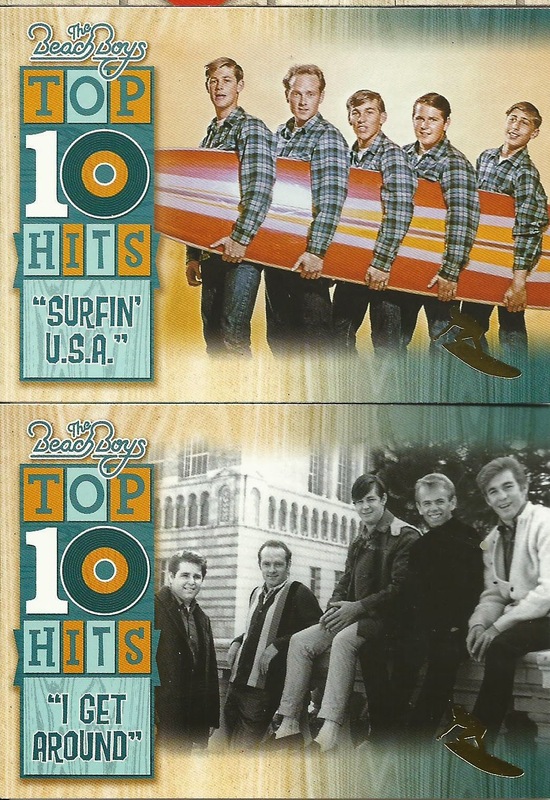 I can see this definitely appealing to Beach Boys fans. 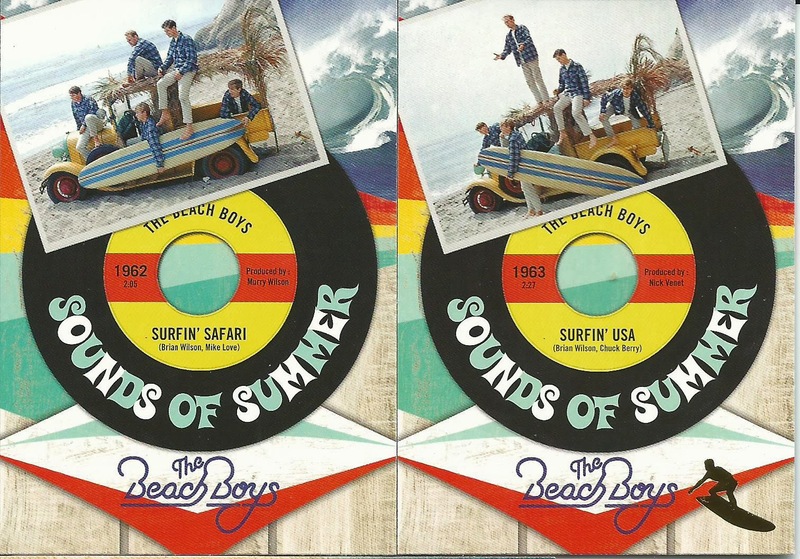 The 120-card base set covers the 52-year history of the Beach Boys including promotional band shots and candid shots. The checklist includes the five current members (Brian Wilson, Mike Love, Al Jardine, Bruce Johnston and David Marks) plus Dennis Wilson and Carl Wilson, who have both passed on. Ricky Fataar and Blondie Chaplin were left off of the checklist. 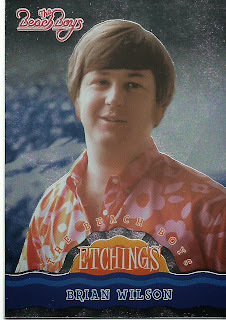 I was able to complete the base set with an additional 20 duplicates, not counting the Foil Surfer parallels. 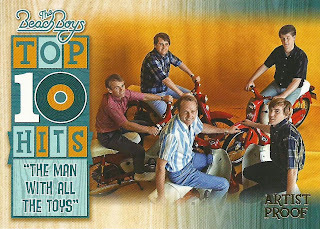 It is nice to open a box and complete a set, too often collectors are left with a partial set and a large collection of duplicates. 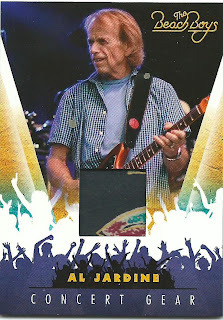 The Foil Surfer parallels have a small foil surfer on the bottom corner and are found in the base set and on inserts. Total there are six insert sets; In Their Own Words, Etchings, Honors, On the Record (My favorite of the inserts), Sounds of Summer and Top 10 Hits. 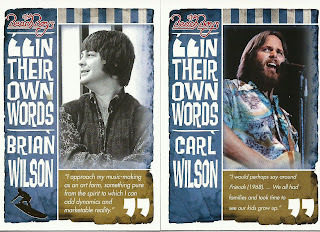 I got a nice collection of inserts and I pulled at least one from each insert set. 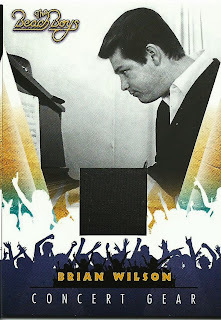 I pulled 40 total inserts (including some parallels), which is better than I expected. 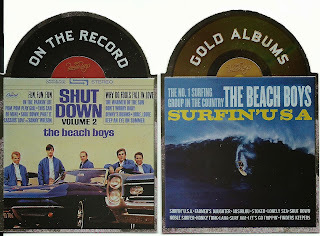 The die-cut On the Record inserts are my favorite. 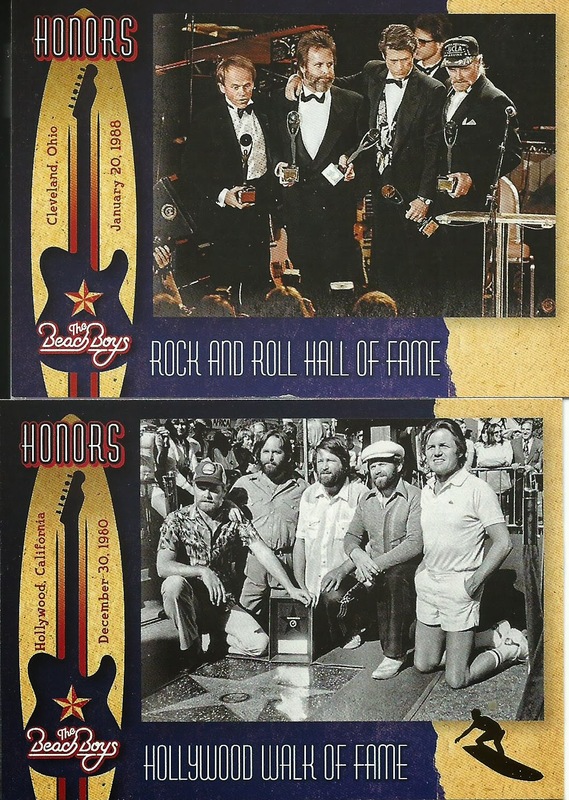 There are three different hits; Autographs (#/70 or less), Concert Gear and the retail-exclusive manufactured relic Commemorative Guitar Picks. 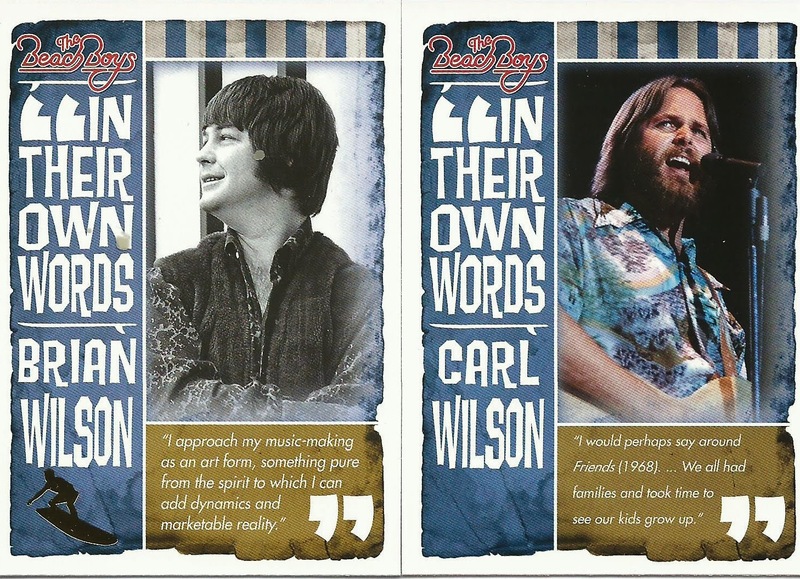 I finish up with two Concert Gear relics, Al Jardine and Brian Wilson. 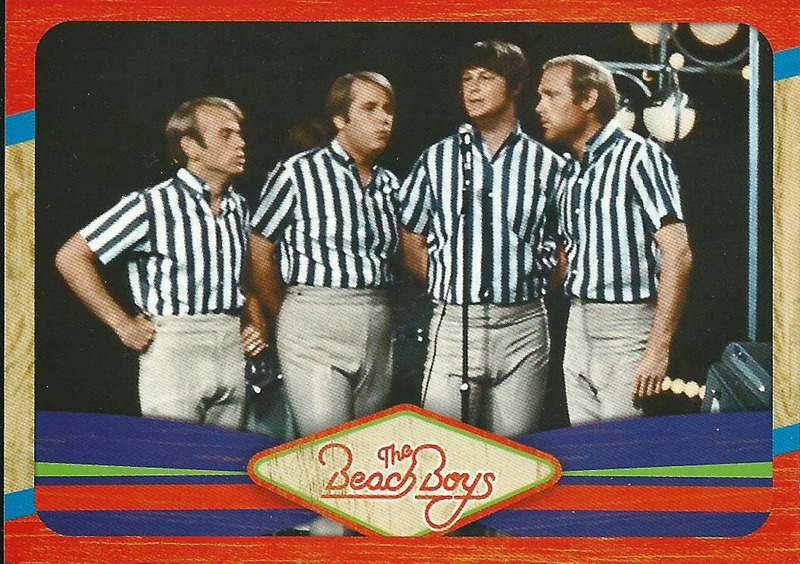 I got an email from Tracy Hackler last week letting me know that I have been selected as one of the winners to receive a box of 2013 Panini Beach Boys in conjunction with the products release. When I was in high school one of my good friend’s parents were Beach Boys fanatics, which was my introduction to their music. I wouldn’t say I am a fan but I know their music so this should be an interesting break. 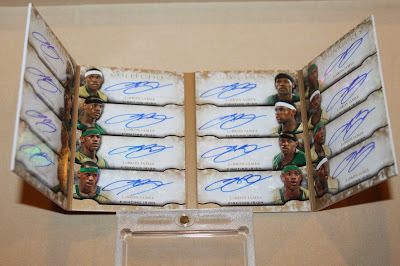 Fed Ex just dropped off the box so now my attention turns to ripping packs. 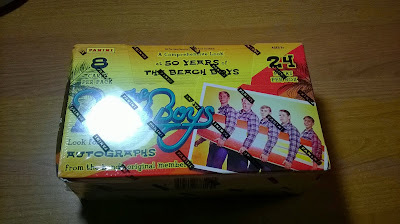 The box says there are two Concert Gear Memorabilia cards per box and on top of that there is supposed to be 21 base inserts and 24 parallels. Tune in tomorrow to see what I end up pulling. 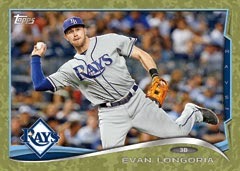 Series One will consist of 330 base cards made up of veterans and rookies with each base card 8 parallels. 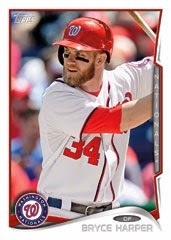 The parallels will be Red Hot Foil (1/6 packs), Gold (#/2014), Camo (#/99), Black (#/63), Pink (#/50), Platinum (1/1), Printing Plates (1/1) and a new hobby only Clear parallel (#/10). 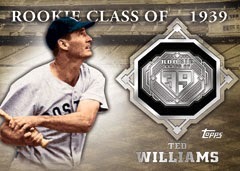 There will also be silk versions (#/50) for 100 players. 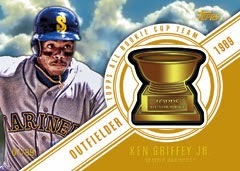 Relics will be made up of manufactured relics and standard game-used relics. 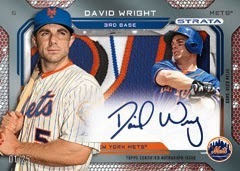 The popular Strata autographs will make an appearance as a hobby only insert. There will be two promotional programs, one will be a Pennant Chase card that can be redeemed for prizes after the 2014 and one Spring Fever redemption card will be included in each box which can be exchanged at participating hobby shops. 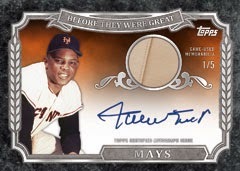 This set is a standard Topps set; basic base cards with tons of parallels, inserts and subsets will be loaded in to the boxes. Oddly the set designs have changed very little since Clay Luraschi’s “Game Changer” announcement a couple of years ago. 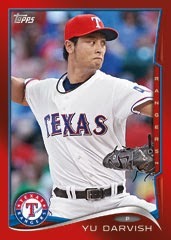 It seems that with exclusive baseball license Topps has become complacent. 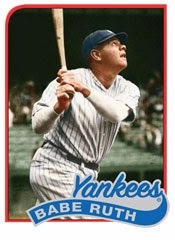 For decades Topps design changed from year to year, some worked and some did not but no matter what Topps designers tried, now it seems like the designers take a blank design, add a whoosh and a couple of lines and they call it a base card. Toss in some minis, reprints and redemption cards and you have a set. On the flip side, it is a cheap set and it is easy to complete a set. 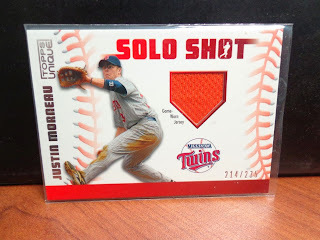 If you are a fan of parallels and minis, you will be satisfied and getting a hit in a box for less than $60 is not something to complain about. 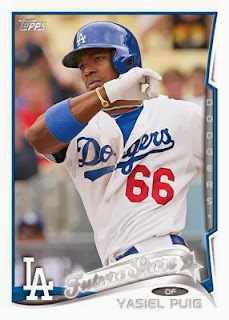 To be fair I will give the 2014 Topps Series One Baseball release 4 out of 5 because it is a complete set with positive attribute. Sometimes ratings are difficult for me because my personal feelings will step in and sway my initial rating and this would be one of those sets. 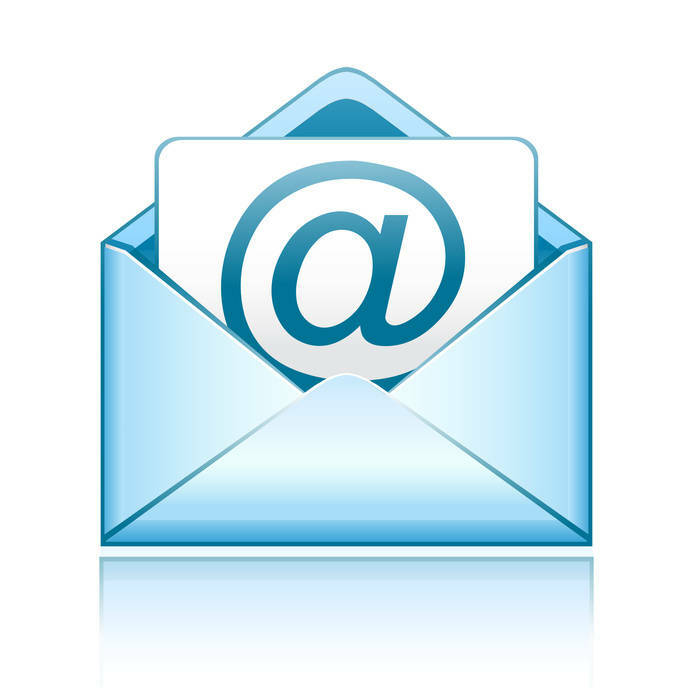 I am disappointed that the design has stayed stagnant but there are positives to the release. 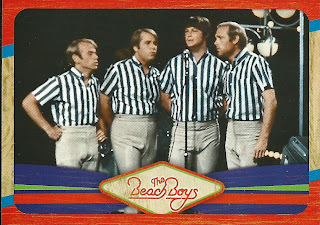 Questionable Cards That Make You Go "Hmmm?" 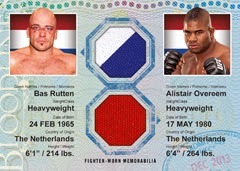 We know that our hobby is not free of controversy, there are plenty of fakes out there. 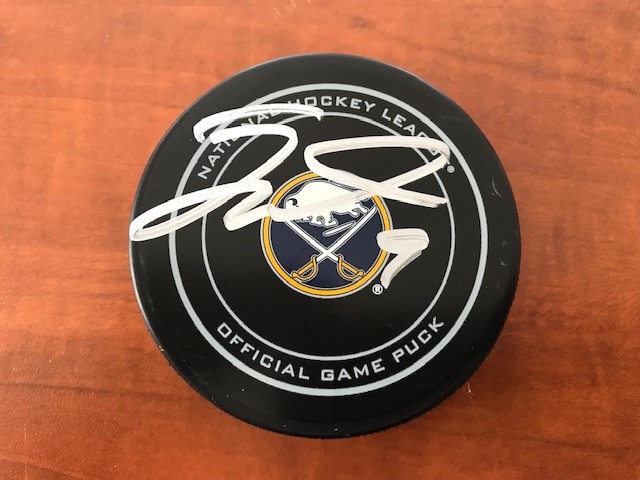 Sadly some hobby criminals have gotten so good that it is difficult to tell if a signature is real or if a patch is authentic. 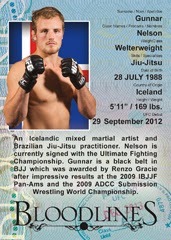 Then there are the cards that are so obviously bad there is no question about a card being fake. 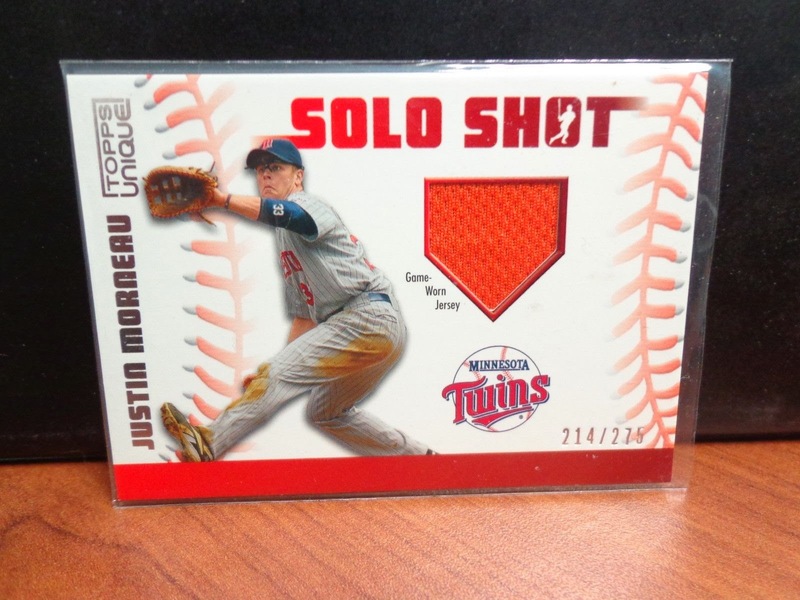 This seller, who has 100% feedback with over 4200 ratings, is selling a 2009 Topps Unique Justin Morneau Solo Shot relic card. The card has a ticket stub in the cut out instead of a jersey piece and this seller is listing it as a “Factory Error”. 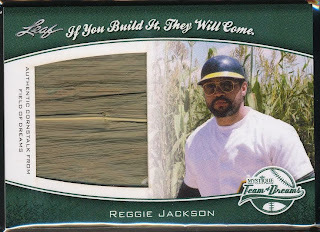 There have been factory error relics before but I find this hard to believe, this would have required someone at Topps to knowingly insert the ticket stub on to the card during the construction phase. 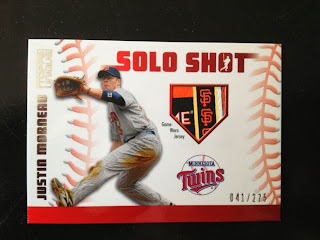 As you can see from Morneau’s other cards in the Solo Shot line Topps used the same orange/red jersey swatches for most likely all of the cards #/275 including the autographed versions, which are #/25. OK, so now that we have gotten the logical argument out of the way lets dig deeper. When you scan in a little closer (inside the red oval) you notice what appears to be an orange jersey relic on the right side of the die-cut window. You can also see at the edge of the ticket, the white border to the right of the SF logo, there is a shadow which would indicate a level change. There also appears to be damage to the die-cut window on the right side (insider the red rectangle) near the jersey swatch. It is possible that this may be normal chipping but it just seems conspicuous. What bothers me is that this person, who has been selling sports cards for 10 years now, is either oblivious to the card being altered or they are selling the card knowing it is a fake and is trying to profit from an unsuspecting collector. I have to admit, I am completely lost by the addition of a Giants ticket stub on to Morneau’s card. 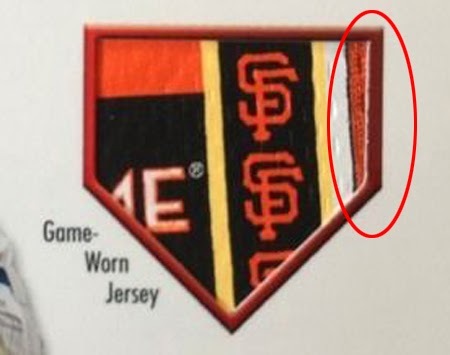 The auction also says “POSTESEASON ticket?” in the description, the Giants did not make the playoffs from 2003-2009, why would they even make a reference to the playoffs? Recently I have been looking to diversify my vintage collection beyond baseball, I do have other sports vintage cards but I want to go outside of the sports genre. 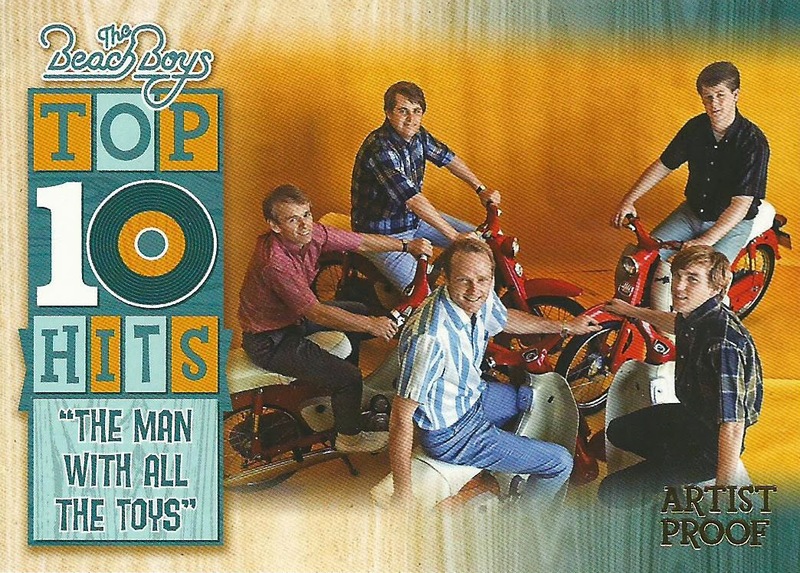 One set that I have been looking in to is the 1966 Leaf Good Guys and Bad Guys release, a 72-card set built on old west legends. 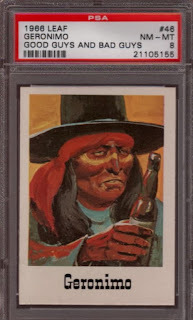 Guys like Billy the Kid, Davey Crockett, Sitting Bull and General Custer are on the checklist but the one that caught my attention is the Geronimo card, #46 on the checklist. Nothing like some good old fashion stereotyping. The Apaches were well known drinkers, often drinking a home-made brew called tiswin, and Geronimo did lead numerous raids in to Mexico to steal alcohol but it caught me by surprise because you wouldn’t see anything like liquor or cigarettes/tobacco products (see Randy Johnson's Marlboro 1989 Fleer card) on a card now let alone a card that would typify racism or a stereotype. So Manny Ramirez’s Pacific Invincible corked bat card has shown up on eBay again, this time with a $5,000 BIN/BO price. I remember when this card first showed up in 2000 and I thought it was insane going for like $500, shows how wrong I was on that one. 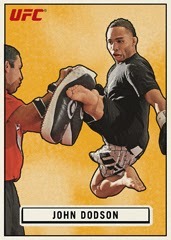 This card is a legend, even if it is for the wrong reason, and it makes a bigger splash each time it appears. 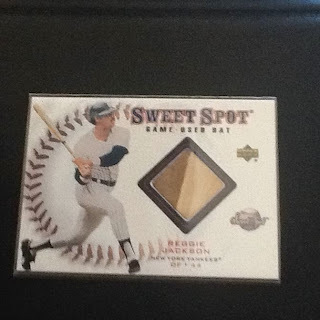 I came across this Reggie Jackson Sweet Spot corked bat card for a $660 BIN price. I don’t remember hearing about this card before, is it something that I just missed, is it just showing up now or is it just a complete fake? Even more questions come from a receipt that the seller included in the auction, there is a receipt from (or to) a wood shop dated March 2001 describing the card. 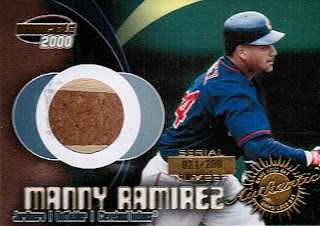 Does this mean that the card was bought/sold in 2001 or does it mean that the wood shop made the corked piece that someone fraudulently inserted in to the card after it was pulled from a pack? 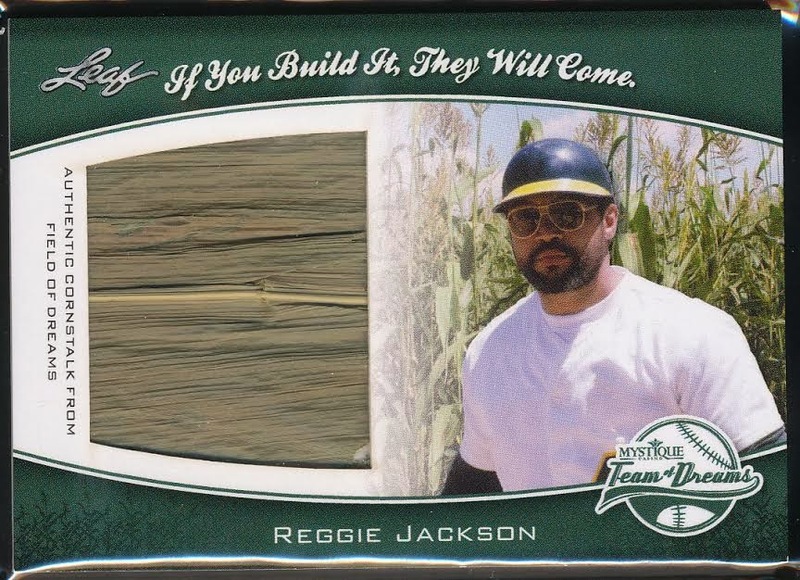 Does anyone know anything about this Reggie Jackson card? 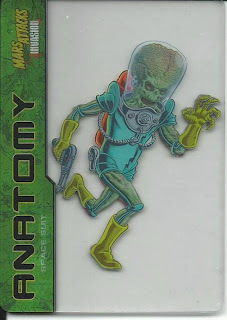 One of the coolest inserts of the years is the Mars Attacks Invasion Martian Anatomy acetate cards, there are 6 cards that when stacked up make an alien soldier. 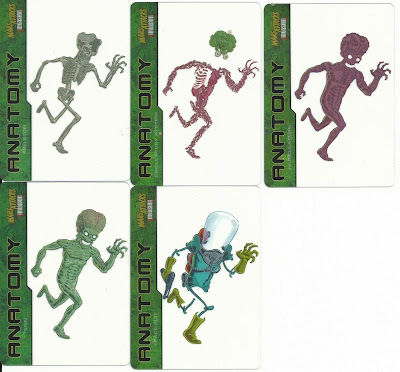 You start with the skeletal frame, circulatory system, muscles, skin, inner suit and space suit. I picked up a set that is missing the inner suit, the 5 cards only cost $2.25 with free shipping so I wasn’t to upset about missing the inner suit card. I will eventually pick up the missing card but I am in no rush. Wow, I didn’t even realize until after I posted it but yesterday’s post was my 1,000th post. It took 4 years, 5 months and 6 days for me to hit #1,000, which breaks down to almost 19 posts a month. The one thing that I have been contemplating over the past few weeks, as I moved closer to that thousandth post, is that I don’t feel like I really have a true blog identity. I wanted to try and cover everything and be completely unbiased, I wanted to offer previews and write ups, commentary and insight as well as include my personal experiences within the hobby. 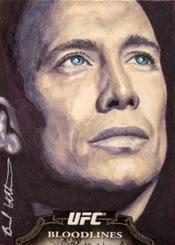 One thing I have learned is that I can cover many things with mediocrity or I can cover a few things well. 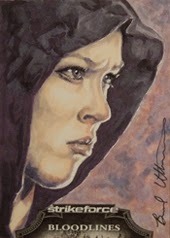 I tried to cover too much and occasionally my posts got lost, I need to reign in my coverage and stick to what I know. 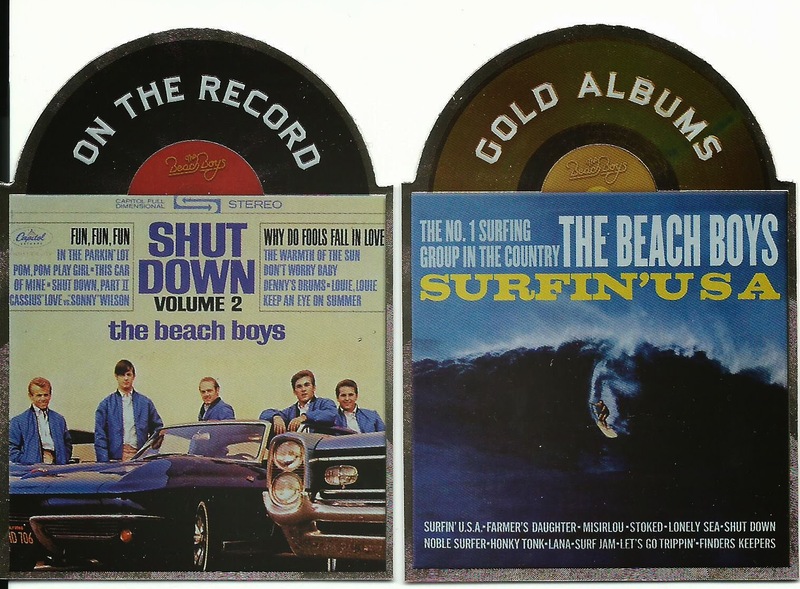 I have some changes in mind that I plan on kicking off in January, essentially I want to get back to what I initially planned for the blog, “Meanderings of a collector”. Here is to the beginning of the next 1,000 posts! 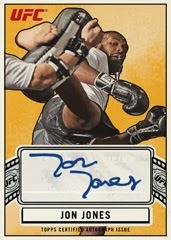 If you can afford it and are a UFC fan this is the product for you, Topps goes all out on Bloodlines and it shows. 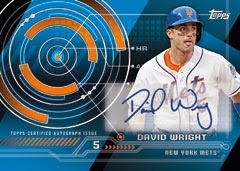 This is a high end product with some high end hits and plenty of parallels and inserts, you will get one hit per pack along with one insert and one parallel. 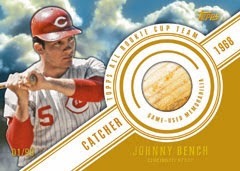 The base cards have four parallels, which you will pull one a pack; Flag (#/188), Black (#/88), Ruby (#/8) and Platinum (1/1). 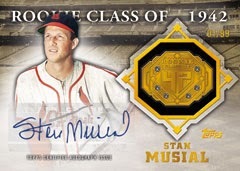 The base autographs will include first time signers, which are Red Ink (#/15). 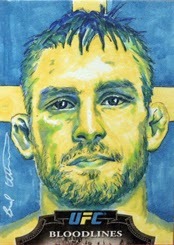 I love UFC and I love UFC cards, I think that Topps has done an amazing job with their UFC releases and Bloodlines is among the best. 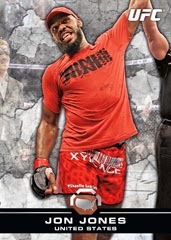 It is a bit out of my price range for a box but I have grabbed up some base cards and inserts of the fighters I support, Ryan Bader and Ben Henderson. 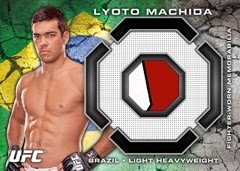 The base design is great; I love the black and white background with the fighter prominently standing out in color along with their name and county across the bottom. Simple designs always seem to stand out and look great. 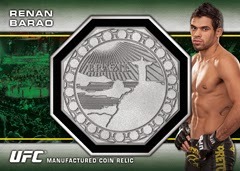 When it comes to inserts the Octagon-Side insert is my favorite, it actually reminds me of the Magic Football releases. 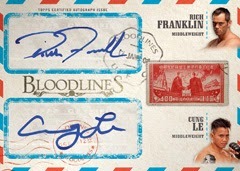 I am torn, I love the set but I always deduct points for sticker autographs even when the match up with the design. There is a lot to love about this set so I think that I will go with a fair 4 out of 5 because of the design aspect. Foles To... Well Just About Everyone! Good News For Hockey Fans?